We like to think much has changed since then – after all we have a national sommelier body (South African Sommelier Association) and there have been a number of sommelier competitions – some sponsored by overseas brands such as Bollinger and Riedel, others by Wines of South Africa, and now, more recently a Young Sommeliers Competition sponsored by Moët & Chandon Champagne and driven by the sommeliers themselves. But how different are things once you take away the cosmetics of the language? How many establishments are willing to pay for professional expertise? How many of them can afford the investment? How many sommeliers are properly remunerated? How many of the somms have the professional competence which might justify the higher pay grade? And for that matter, what are the producers doing – if anything – to make progress possible? Some of these questions are easily answered. In the past seven years the number of signed up members of SASA has grown from zero to 300, of which roughly 100 are active professionals. To qualify as a professional member, an applicant must have – as a minimum requirement – a recognised wine qualification (such as a WSET certificate) and three years’ wine service experience in an on-consumption environment. 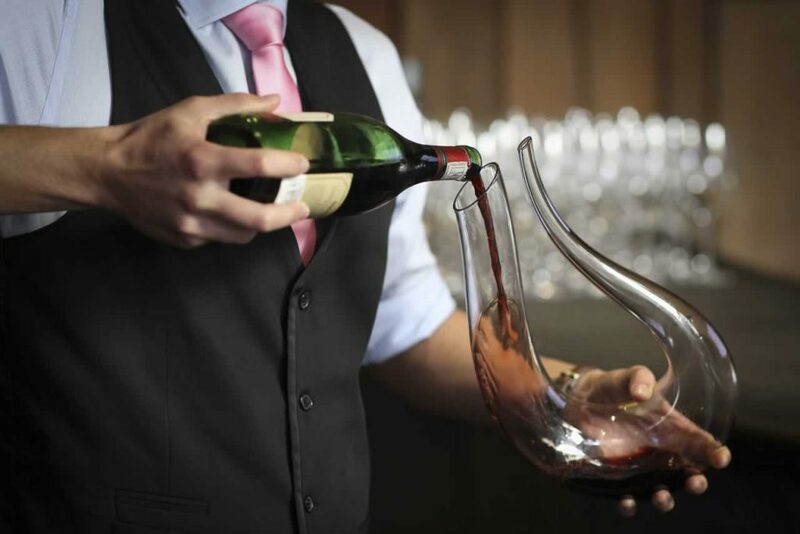 At least twenty of these professional members hold at least one international sommelier qualification, such as certification from the Court of Master Sommeliers or a diploma from the Association de la Sommellerie (ASI). SASA has now launched a three level qualification process which enjoys the endorsement of the ASI. However, when it comes to sommeliers at the top of the qualification ladder (in other words, passing the Master Sommelier exam), only Gareth Ferreira – who finished in the top 15 at the World Championships – is anywhere near the finishing line. To do so he has dedicated several years of his life to the challenge and has had to move his residence to London (for the time being), simply to get the work and tasting experience. Most decent establishments also recognise that there must be an investment in staff training. Restaurateurs who are conscious of international standards – and who have a high percentage of international guests (and therefore a higher net income per table) – see the connection between fine wine service and bottom line profitability. Curiously, these are the restaurants whose wine lists are not for sale. You never hear of them charging listing fees: on the contrary, there’s ample evidence to suggest that even the biggest suppliers cannot buy their way into these cellars. Most of the top sommeliers who were the founding members of SASA are no longer on the floor. Some have progressed into management and ownership positions, others have given up on the idea of a career in wine service, and have used their training and connections to host events or to provide consulting services. Ask them why this should be so and many will tell you that the remuneration is not commensurate with the time or money spent on their training. There may be great profits in the hospitality industry in South Africa, but it’s not being shared with the chefs and the somms. One of the ways that income accrues to hoteliers and restaurateurs is the iniquitous practice of listing fees. A surprising number of outlets from national chains to premium establishments blithely charge producers and distributors for a slot on their wine lists. They argue that they provide an opportunity for wine farms to showcase their treasures and that, since supermarkets charge for gondola ends, they are equally entitled to make wineries pay for the platform. This is a debate that has raged for years, and it would be a distraction to waste space on it here. 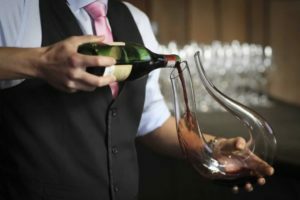 However, to the extent that management is prepared to surrender control of their wine lists to the highest bidder, the last thing they need is an employee concerned about the quality and balance of the offering – or even the nuances of wine service. At this point the liquor sale is simply a money game: if Moët will pay for the awnings and Diageo for the bar, if every winery represented on the list has paid between R5k and R15k for being there, then commercial management knows more about making money from wine than any sommelier. The reason our sommeliers are battling to make headway – despite their best efforts – is the trade itself. Producers would rather be held to ransom than stand their ground, and the on-trade can’t help itself, as long as the wineries are ready to dip into their marketing budgets and the punters keep coming back. It’s not going to get better either: if the draft liquor bill finally becomes law and liquor advertising is banned, the above-the-line budgets will simply go into bribery: gondola ends and restaurant listings. Then the meek will have no chance at all and the big brands will inherit the earth.